On Aug 1, 2003 Simone Osthoff published: Body and Building: Essays on the Changing Relation of Body and Architecture edited by George Dodds and Robert Tavernor. Monsters of Architecture: Anthropomorphism in Architectural Theory. Maryland: Rowman & Littlefield Publishers, Inc. Frascari, M., 2002. 'A Tradition of Architectural Figures: A Search for Vita Beata.' In Dodds, G., Tavernor, R. and Rykwert, J. eds. 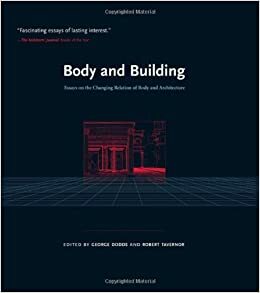 Body and Building: Essays on the Changing Relation of Body and Architecture.